The SWIFT30 Series of stereo microscopes offers three models from which to choose. 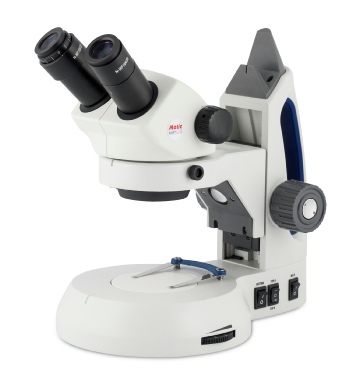 The SWIFT30B features fixed magnifications of 10X and 30X, the SWIFT30S features fixed magnifications of 20X and 40X and the SWIFT39Z has a variable zoom magnification range of 10X~30X, offering extra versatility. LED illumination with three illumination systems to choose from (axial, incident and/or transmitted), “one-touch” stage clips, USB 5V output located on the stand and diopter adjustment on the left eyepiece. Its design also includes a built-in carrying handle and a cord-hanger for safe and hassle-free cord storage.